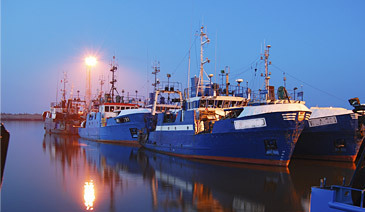 Our company was established in 1996 with the desire to continue the maritime traditions of the family. 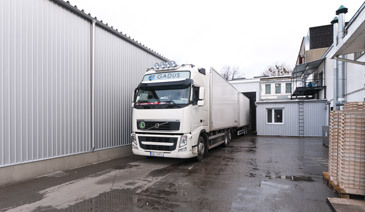 Head office and main production sites are located in Gdynia and is conducted jointly by brothers David and Arek Sztormowski with cooperation with their father Leonard. Thanks to the passion and commitment, from a small local company, we have become a leader in catches and processing of pelagic and white fish. The modern way of management and implementing the latest technologies in our factories has a great impact on the dynamic development of the company. In our fleet we have 16 fishing vessels (annual catch volumes are 1 000 of cod, 1 200 tonnes of flounder , 6 000 tonnes of sprats, 2 000 tonnes of herring). Our staff is very experienced and highly motivated. We also pay our attention to keep the highest quality of the caught fish delivered to our clients and own processing plants. The processing plants are equipped with modern production lines, so each client can affect the type of treatment according to his preferences, in terms of fresh and frozen products. We also deliver our goods with own transport throughout Europe. 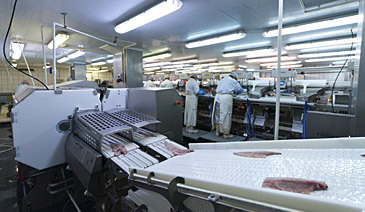 We control every part of the production chain from the catch to the final consumer. Our products (cod, flounder, sprat)od połowu do finalnego odbiorcy są przechowywane w warunkach chłodniczych ( od -5°C do -30°C). Gotowe produkty transportujemy do każdego zakątka Europy.